Accuracy in archery can come down to being able to successfully weigh components down to a fraction of a grain. Wait a second, that’s not much weight right? You are correct; but when you install the multiple components of an arrow and they all contain a variance in weight, your arrow’s final weight can be considerably different. If you weigh all the components separately, record their weights and assign them all to the right arrow shaft, you can achieve producing a dozen arrows that will match weights as close as possible. 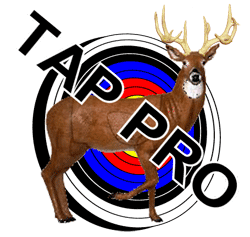 Enter the Last Chance Archery Pro Grain Scale. This scale is accurate and designed for today’s archer. It has a nice glass weighing surface and a bright LCD display that makes it look like it belongs in a jewelry store. The Last Chance Archery Pro Grain Scale’s arrow holder attachment makes weighing arrows and field points a breeze by containing them on the weighing surface. To use the Pro Grain Scale, all you have to do is press the on/off button on the touch screen. Once it is pressed, the LCD will illuminate and you will be able to select from 3 additional buttons. These buttons are “zero/tare”, “mode”, and “c”. Zero/tare will cancel out any weight that is on the scale and bring the bring the reading to zero. The mode button will allow you to choose between the units of ounces, grains, grams, carats and penny weight. We aren’t exactly sure what the “C” button is for but it displays carats x 10 we believe. The Last Chance Archery Pro Grain Scale will weigh up to 3,000 grains and features an auto-off function that will turn the scale off after 60 seconds of non-use. It auto-calibrates and is extremely precise and accurate. When moving the objects that we were weighing around the weighing surface, it did a great job of displaying the same weight. We also checked our reported weights a day apart and they were right on the money. 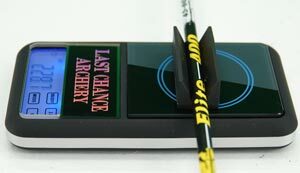 If you’re a serious archer who has accuracy in mind, the Pro Grain Scale by Last Chance Archery is a great choice. Designed by archers for archers, this scale will help you build arrows as close as humanly possible in total weight. 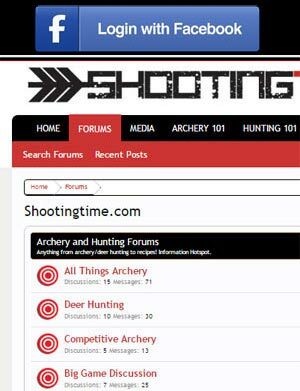 For more information, check out Last Chance Archery at http://lastchancearchery.com. 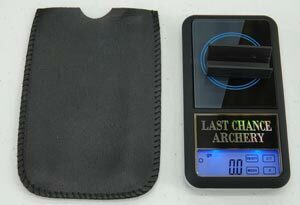 The Last Chance Archery Pro Grain Scale is a great scale to have for any proshop.